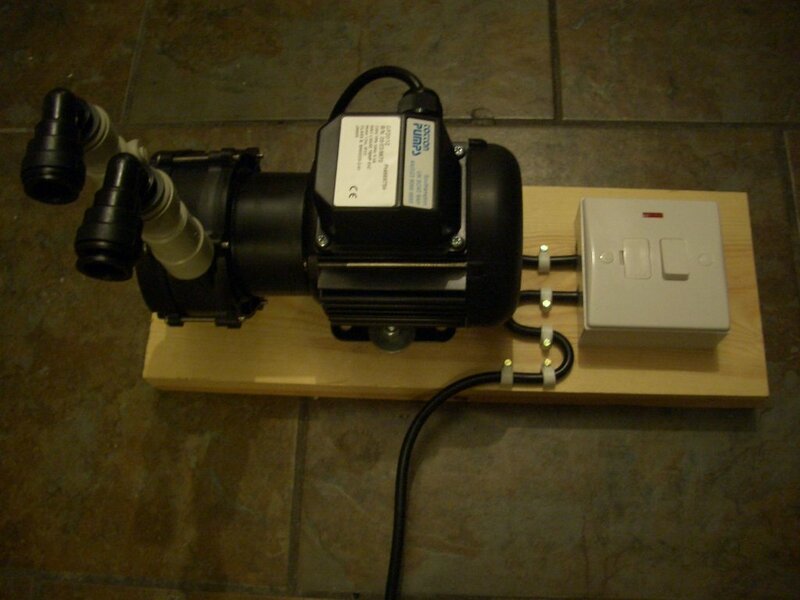 Bought a nice new Totton pump from ebay the other day to pump wort around when home brewing. Made a stand for it and wired it up yesterday. The 'S' in the cable is a simple cable strain relief so pulling on the wire won't pull on the wiring inside the switch. It's magnetically coupled and food safe. Should help with stuck sparges and save me having to lift full buckets of near boiling liquid.